Payments and financial services delivered via mobile phones and the internet could boost financial inclusion and improve economic prospects of individuals and businesses. Image credit: Rodel Valenzuela/ADB. Asia and the Pacific continues to embrace advancements in digital technology that are shifting financial services from a traditional banking approach toward the decentralization and disintermediation of economic transactions. Financial technology, or fintech, as a redefined sector at the intersection of financial services and technology, has accelerated the leveraging of mobile internet access, cryptography, distributed computing, big data, and artificial intelligence that are bringing innovative applications across a large range of services, from payments to saving, borrowing, risk management, and financial advice. Developing Asia has been growing rapidly while still saddled with relatively less inclusive financial systems. The rapid spread of financial technology offers great opportunity to reduce the cost of financial services and promote access to finance, hence profitably boosting financial inclusion and enable large productivity gains. These technological innovations have brought structural change to financial markets and increased sophistication in the delivery of financial products and services. These changes have also created new challenges for policymakers and financial regulators to understand better disruptive forces in financial products and services—as well as to identify risks—which can be destabilizing. This policy brief is adapted from an Asian Development Bank report, Harnessing Technology for More Inclusive and Sustainable Finance in Asia and the Pacific. Fintech redefines a specific sector at the intersection of financial services and technology. A digital transformation in the financial services industry is happening in step with ongoing developments in telecommunications and computing technology. These developments have improved efficiency and helped to reduce costs. Digitalization has been accompanied by decentralization and disintermediation. Distributed ledger is an example of decentralized services, and its applications include cryptocoins and smart contracts. New technology-driven business models, such as peer-to-peer platforms and robo-advisors, have also supplanted some traditional financial intermediaries, posing distinct challenges for incumbent financial service providers and regulators. Asian economies, particularly the People’s Republic of China, Japan, and the Republic of Korea, have become the leading players in global fintech innovation. In 2018, East Asia became the most active area for fintech patents filing in the world, while the PRC, India, Japan, the Republic of Korea, and Tapei,China contribute a combined 72.6% of fintech patents globally. More fintech patents are filed and published in the PRC than in any other jurisdiction, with its proportion of the total having increased from 30% in 2013 to 56.2% in 2018. The application of mobile internet access to payment services is the most innovation-active area, while the use of artificial intelligence, big data, and distributed computing to transform traditional banking services is also popular. Based on the analytical framework of fintech proposed by the International Monetary Fund in 2017, which includes technology and financial service dimensions, the patterns of fintech innovation between the world and the Asia and the Pacific sample are similar. The largest number of fintech patents is in the area of using mobile internet access technology for payment service (e.g., mobile payment), while cryptography technology used in advisory service has the least. From the technology dimension, the mobile internet is the highest utilized technology in fintech patents, and distributed computing technology comes second. From the financial services dimension, payment services have the largest number of fintech patents and savings services are second (Table 1). Source: ADB staff calculations, based on patent data from Relecura. Payments technology is so fundamental and widely applied that it is still growing strongly after decades of development. In recent years, much attention and investment has been drawn to Asia, where mobile payments could help many people, including those in rural areas, access affordable financial products and services—transactions, payments, savings, credit, and insurance. Besides mobile payments, more recent high-growth fintech segments include peer-to-peer lending, savings, and investment advice. In Asia and the Pacific, except for patents related to cryptography technology, other categories make up more than 50% of the global share of fintech patents (Table 2). Source: ADB staff calculations based on patent data from Relecura. Fintech innovations do not only come from technology startups, but also from large commercial banks, incumbent computer and software companies, and from manufacturers. The fintech patents landscape in Asia and the Pacific comprises traditional manufacturing firms, commercial banks, internet companies, telecommunication firms, and pure fintech companies. As presented in the distribution of major Fintech innovators in Figure 1, except for obvious clusters of different types of companies, some bubbles are close to each other, indicating similarity of innovations by these companies. Note: Topic maps are the visual landscape of the results set based on various patent parameters and help in identifying the technology clusters. The bubble size indicates the number of patents and the proximity of the bubbles represents the similarity of technology in the bubble. Fintech’s competition challenges can be examined from both supply- and demand-side (European Parliament 2018). From the supply-side perspective, which is mainly about the type of technology used to characterize a financial service, platform technologies and access to data could cause competition concerns since the network effects from both may intensify market concentration. From the demand-side, which is mainly based on the perspective of the user of technology, access and operation and user perceptions and behavior should be also considered. Large tech companies, whose advanced technologies look suited to entrenching their positions, are creating more competition problems than fintech startups. Payment services, as the most mature category of fintech services, gather a large amount of customer data that can be used by providers of payment services to leverage their positions. Firms with an established place in the market, such as Alibaba and Tencent in the PRC, have a strong incentive to lock-in customers and use payment services as the starting point to sell other services. 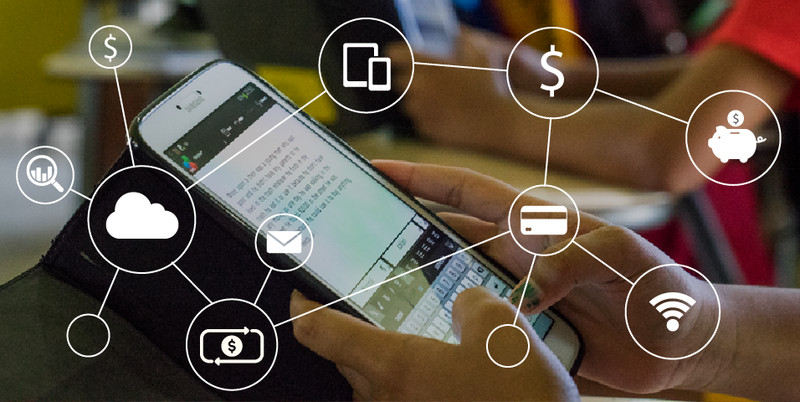 Financial technology has the potential to improve and promote more inclusive finance in Asia. Meanwhile, fintech will transform the entire financial system, from money to infrastructure to fundraising, which requires careful analysis of underlying risks to financial stability. Fintech brings industry concentration in a market dominated by a few large companies. Competition policies and better allocation of resources are needed to avoid the monopolistic tendencies of technology giants and prevent abuse of market power. With machine learning and predictive analytics based on big data and artificial intelligence being applied to various financial services, data are more vulnerable to security breaches. Cybersecurity, privacy, know your customer, and consumer protection issues associated with fintech are critical. As changes in the financial sector accelerate toward the digitalization, decentralization, and disintermediation of economic transactions, money laundering, terrorist financing, and competition issues also require actions from regulators. Central bankers, regulators, government agencies, and international financial institutions are faced with four key policy issues in the region. Issue 1: Managing technological innovation to promote greater financial inclusion. New technologies have dramatically mitigated asymmetric information and reduced transaction cost to provide better financial service to underserved population and companies (Mbiti and Weil 2013, Jack and Suri 2014). Despite the myriad of associated technological advancements, 2 billion out of the world’s 7 billion do not have access to financial services and 1 billion are in Asia. How can it be ensured that fintech innovations assist small and medium-sized enterprises and people currently excluded from financial services, helping them to engage in economic activities and to enjoy the growth benefits of the digital technology? How can digital infrastructure be developed to reach the remotest of communities? How to build a harmonized national or global digital identity system for people and firms to facilitate their access to financial services? Issue 2: Developing the ecosystem to support the creation, diffusion, and scaling up of technology and innovation. The rationale for government interventions largely stems from the idea that private actors will undersupply innovation. This argument leads to the assumption that subsidizing private sector in some way will help solve the problem. From a Schumpeterian perspective, the policy response can be led by developing national innovation systems that form an environment necessary and sufficient to forge a strong relationship between the key actors involved in creating, diffusing, and utilizing technology and innovation (firms, public labs, government ministries, financial players, and patents and educational systems). However, in the case of fintech-related innovation, early evidence suggests that the private sector has provided enough innovation, with little need for government subsidy. It is evident that strong economic environments and institutions play important roles in forging links between financial and technology firms. In this regard, it would be useful to ask how finance-related startups can be encouraged, and how they can be integrated into existing financial system business models. Given that these innovations are highly concentrated in the fintech sector, what sort of institutional support, guidelines on contract enforcement, competition policy, or market structure would be helpful? How do we channel funding for innovation and what is the role of innovation policy? Issue 3: Strengthening the role of central banks and financial regulators in managing risks and developing the regulatory environment to strike a balance between innovation and financial stability, and to protect consumers. There are many risks associated with the fintech innovation. At the macro level, technology can be a transmission mechanism for contagion as well as an important source of systemic problems. At the micro level, poor governance or process control can increase the risk of direct disruption to financial services provision. There are also operational risks, such as susceptibility to cyberattacks, reliance on common online platforms, etc. An important question is therefore: how can innovation be encouraged while addressing these challenges to ensure minimal destruction and greater financial stability? What is the role of central banks and financial regulators in ensuring the policy and regulatory environment that allows technological advancement to thrive but ensures consumer safety and financial stability? How can governments: (i) protect consumers against cybercrimes and fraud; (ii) prevent illegal activities such as money laundering and terrorist financing, (iii) enhance cybersecurity to prevent cyberattacks and hacking; (iv) protect personal data and privacy; and (v) balance innovation and financial stability? How do we harmonize these policies and coordinate the regulatory function to maximize the benefits and minimize the costs from technology and innovation? What is the role of RegTech and Sandbox? Issue 4: Identifying the role of international financial institutions and regional cooperation in addressing challenges and vulnerabilities. Moving forward, a key question is how all stakeholders cooperate and collaborate to support the campaign for inclusive finance through the channels provided by new technologies? What new areas for development finance and investment needs can be supported by application of new financial technologies? What soft and hard infrastructure and policies should Asian policy makers focus on to promote mobile and digital technology? How can they help each other in enhancing data privacy, consumer protection, tracking fraud and other illegal activities that are increasingly more transnational, and in promoting financial literacy? Does regional cooperation play a role in setting guidelines for regulatory framework or policies? Who takes a lead role in sharing information about fraud and illegal activity? CY Park, J Villafuerte, and B Zhao. 2018. Harnessing Technology for More Inclusive and Sustainable Finance in Asia and the Pacific. Manila: Asian Development Bank. James Villafuerte is an economist at the Economic Research and Regional Cooperation Department at ADB. He contributes regularly to the Asia Regional Integration Report and has conducted extensive research and training on macroeconomic issues, including capital flows; crisis theories, mechanisms, and lessons; and regional integration issues. Prior to joining ADB, he was an economist at the World Bank and senior economist at the Department of Treasury and Finance in Victoria, Australia. Bo Zhao is an economist at the Asian Development Bank with recent research topics covering financial technology and innovation, financial inclusion and stability, regulation, and policy. Prior to joining ADB, he was an assistant professor at the Faculty of Business and Economics, University of Hong Kong. He obtained his Ph.D. from the Ross School of Business, University of Michigan.